Disclosure: This is a sponsored post in collaboration with SewBonita. A formidable woman with whom others are smart enough not to f**k with. A term used to describe a self-respecting woman who knows she’s got it going on. Alright so let's get something clear before we move on. You do not have to be Mexican or even of Latin descent in order to be a Chingona. 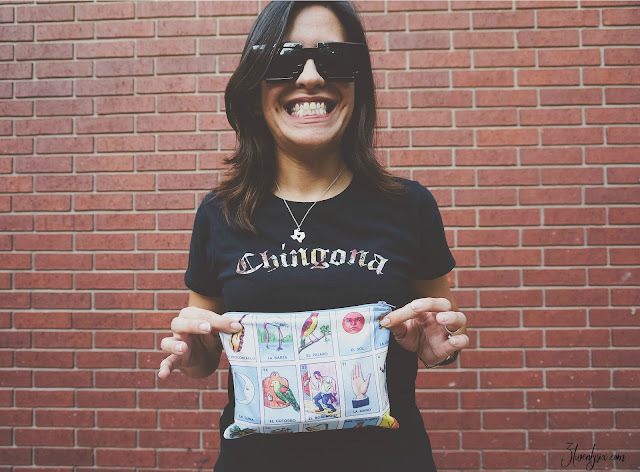 Chingona's are all over the world, speaking all sorts of languages, and empowering themselves and other ladies around them! Look at our fantastical US Olympics women gymnastics team. They are all freaking Chingona's and we couldn't be prouder of them and how they are helping empower the younger generation in the sense of You can do anything you put your mind to. 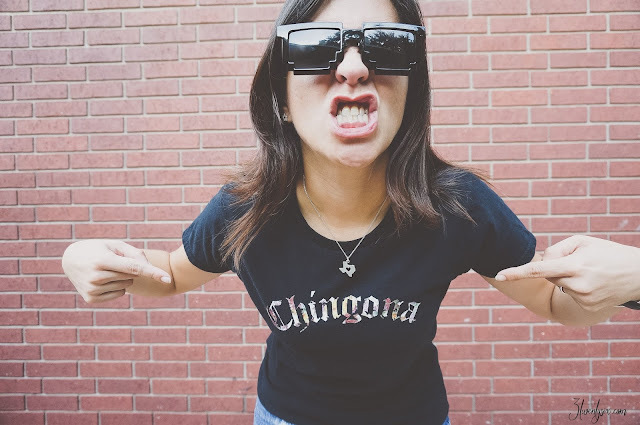 To name a few Chingona's from around the world that you've probably heard of... Frida Kahlo, Michelle Obama, Selma Hayek, Rhonda Rousey, Malala Yousafzai, even a fictional one like Daenerys Targaryen, and so many freaking more. These are women who do not shy away from their beliefs. The true definition of Chingona! Back to Elena, a super creative Chingona, who had an idea and went with it without hesitation. Elena was born in Eagle Pass, Texas (Woohoo for Texas ladies doing big thangs) which is the border of Texas and Mexico, to sister city Piedras Negras, Coahuila. It holds a very special place in her heart as her family is there. The culture, the food, the music and all the colors is what inspires her every day. Elena currently lives in Corpus Christi with her husband and furkids! She's always been creative and crafty so this business shouldn't be surprising to the folks who know her. Her husband, Gerald, bought her a sewing machine a few years back even though she didn't know the first thing about it. Instead of letting it sit there, she signed up for some classes at her local craft store and totally fell in love with the art of sewing. Her late mother had told her many times that she wanted to teach her to sew, but it just wasn't the right time for her. It's something she regrets a lot today but she now understands why her mother loved it so much. 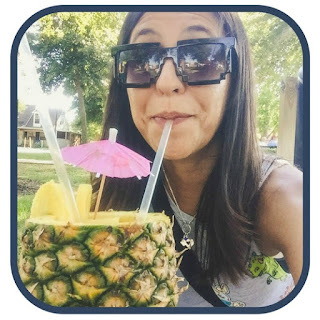 After her passing, Elena felt the sudden urge to try and attempt new things because life is too short to not live your life to the fullest, and in color, and that's exactly what Sewbonita represents! Elena sews con mucho amor y cariño and even though it's a difficult task and it takes a lot of practice, when a project is completed, the end result is always so rewarding for her. Curious how the name, Sewbonita, came to be? She wanted a play on words with a little Spanish flair. Her sister-in-law came up with the name and Elena totally fell in love with it. It really sums up her business in two simple words. I personally think it's a genius name and definitely memorable. If you ask Elena what her favorite part of this business is she'll tell you it's sewing in her pj's and working with her husband. When she has an idea, a vision for a shirt, he designs her thoughts. She says it's like having an extra brain for her shirt designs. That kind of support is rare and beautiful in itself. The not so fun part is having a full-time job. She's a Case Manager with a local HCS agency that serves a population of clients with mental disabilities. This type of 8-5 prevents her from creating whenever she wants and it kills her. Imagine having an idea and wanting to sit down and brainstorm it but having to wait 5 days in order to have time to sit in your craft room. The good thing is that when that creative itch hits her, she'll make the sacrifice and stay up late sewing during the weekdays. She needs to always be creating something whether it's sewing, crafting, thinking of shirt designs, and even baking/cooking. Baking is another business that Elena had a few years ago, but that's a whole other story.. I asked Elena what her ultimate dream was with this business and her answer made me smile. She wants to grow and create an online presence that empowers women while bringing a ton of culture to the masses. 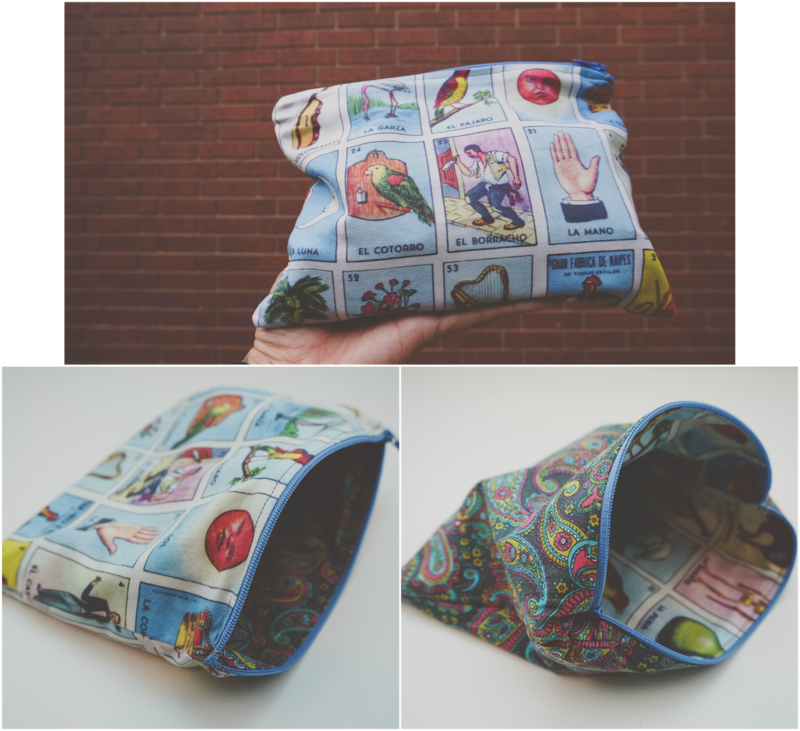 She wants to make sewing more mainstream with the different projects she creates. 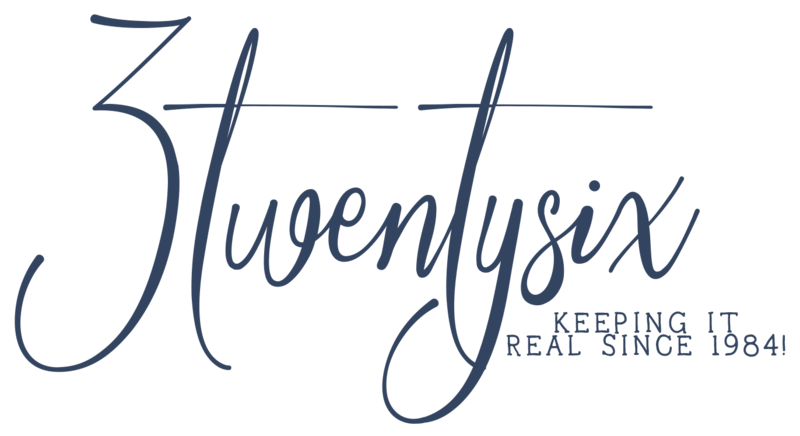 She's always learning and taking new sewing classes online and out of town (she visits Austin often) to better enhance her craft and hopefully motivate you to try sewing, too. To be honest, talking to her on the phone and through emails made me super excited. She's a freaking inspiration and I kind of want to learn how to sew now, haha! Mama Carrizo tried to teach me a few years ago but I just wasn't feeling it. Maybe one day I'll try it again. all sorts of unique designs and tell your friends! Also, make sure you're following her on Instagram and showing her some love! 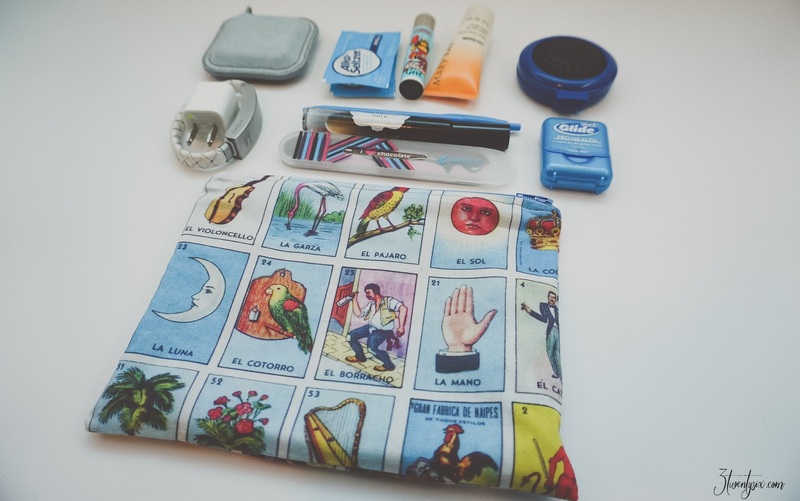 Here's an example of the goodies I carry in my loteria bag, don't judge me. Floss, half brush/half mirror, lotion, lighter, Alka Seltzer (cause I'm old 😂), measuring tape (for those thrift finds), iPhone charger, perfume, a pen, a nail filer, and flash drive (not pictured because I was using it). And it still has room for more. When I bought mine, I bought one for Mama Carrizo, too. She uses her for all of the goodies she uses with her contact lenses. It's also a great little bag for makeup. I like this bag because the material is soft and lightweight. Makes it way easier to put into my purse and carry around. which is why I had to ask Elena what her favorite quote was. 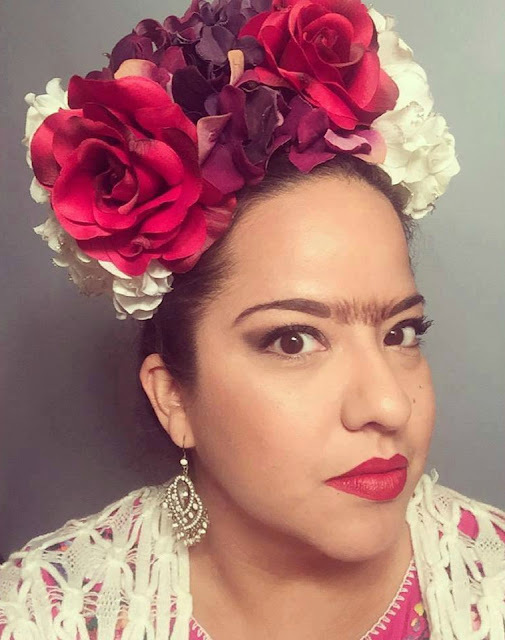 Frida, the ultimate Chingona is so inspiring, and a woman beyond her time. This quote is to remind us that we are stronger than we think we are. That we are capable of being much more than the limits we bestow upon ourselves. We are unstoppable. Giveaway starts today (08/12) and ends (08/19 at midnight). I will announce the winner on social media and also send a msg/email. US residents only. Giveaway is while supplies last. For those who don't want to wait to find out if they win, use code HoustonBonita at checkout for 10% OFF your first purchase (valid for the next two weeks). My mama (RIP) was a Chingona for sure! Raised 3 daughters all by herself and even after she got sick she stayed strong. Her birthday was yesterday so I would love to win this in memory of the baddest Chingona I've ever known. Thanks for the chance! 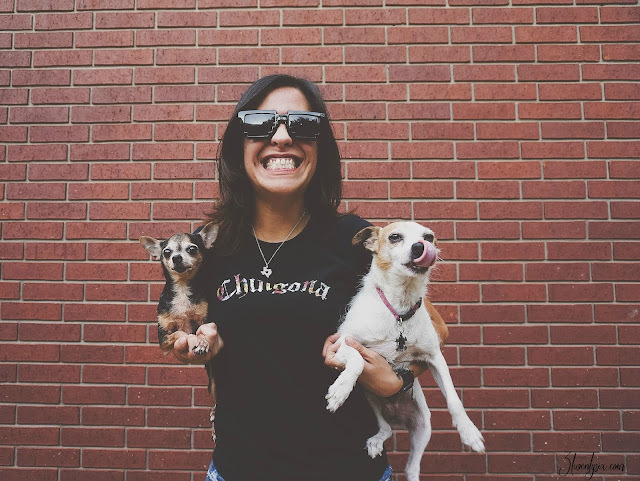 Here's to being Chingonas together!